WASHINGTON (Sputnik) - US President Donald Trump said in a statement on Friday that the Inspector General for the Department of Justice (DOJ) will quickly review all of the documents he wants to declassify and release to the public in connection with the Russia election investigation. "I met with the DOJ concerning the declassification of various UNREDACTED documents. They agreed to release them but stated that so doing may have a perceived negative impact on the Russia probe. Also, key Allies’ called to ask not to release. Therefore, the Inspector General has been asked to review these documents on an expedited basis. I believe he will move quickly on this (and hopefully other things which he is looking at). In the end I can always declassify if it proves necessary. Speed is very important to me — and everyone!" Trump said via Twitter. 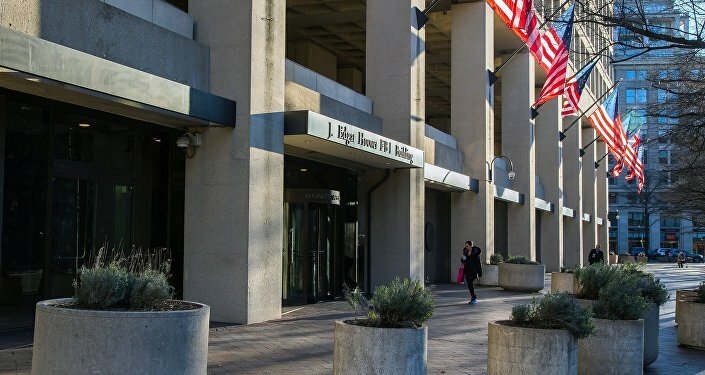 Trump directed the Justice Department and Office of the Director of National Intelligence to release the Foreign Intelligence Surveillance Act application on his former adviser Carter Page and all FBI reports of interviews prepared in connection with his file. Russia has repeatedly denied interfering in the vote, dismissing the allegations as "absurd." Trump has also rejected accusations of collusion with Russia as politically motivated lies and has called the investigation a "witch hunt." On Monday, Trump ordered the declassification of a number of records and text messages related to the investigation into allegations of Russian meddling in the 2016 US election and collusion between the Trump campaign and Moscow.